The South Point Satellite Station includes two independent antennas with capabilities for Telemetry Tracking & Command (TT&C) and Data Downlink services. The Ground station supports multiple frequency bands including, S-Band (up and down), X-Band (up and down), Ku-Band (up and down). 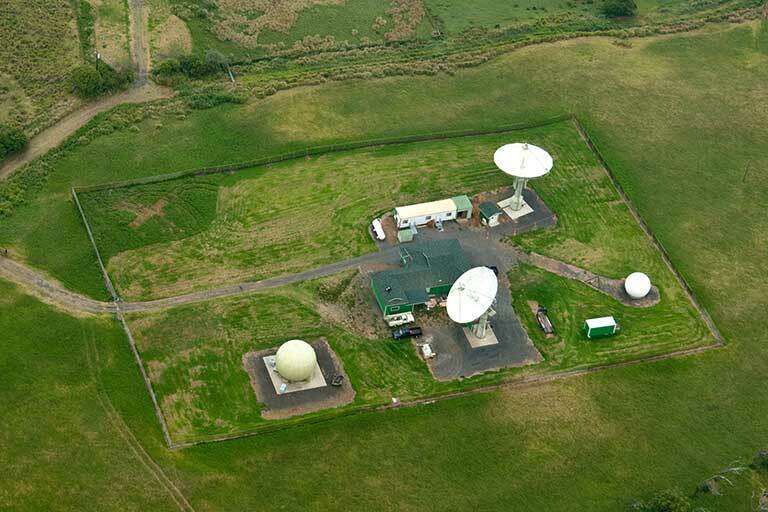 The ground station also includes an operational building which houses system electronics and data processing equipment. Space is available in both the equipment housing and on the land to host customer-owned antenna equipment. The South Point Satellite Station, also called “Pete Conrad” Ground Station, is located at South Point Hawaii which is roughly 90 km kilometers south of Kona on the Island of Hawaii. The station is located 19º 0' North latitude and 155º39' West longitude and is situated 367M above sea level. The location in the Pacific ocean at only 19ºabove the equator is particularly advantageous for accessing low-inclination orbiting satellites. It is frequently used for geostationary orbit raising operations, as well as LEO missions for both orbit raising and daily pass supports for polar and low inclination orbiting satellites. It compliments the PrioraNet stations by providing additional contact opportunities for LEO missions (including polar) and also as part of a GEO orbit raising network that would include PrioraNet stations in Santiago Chile and Dongara Western Australia. Curious what we can do? Take a look at our Services! We offer proven expertise in the development of satellite subsystems as well as in satellite communication and operations. We develop rocket systems and experiment payloads, and we launch sounding rockets and high-altitude balloons.